Everyone loves a healthy furry shiny coat dog. They look extremely attractive and indicates that the dog is been well-taken care of. 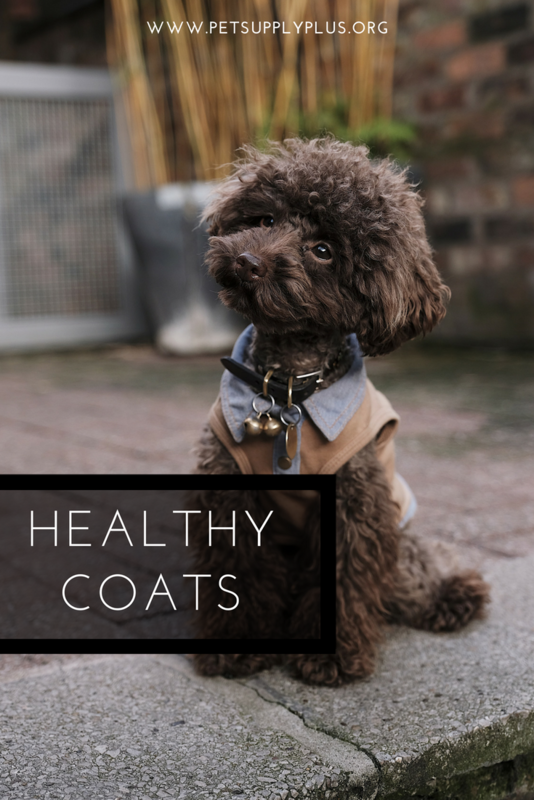 Having a healthy coat also means a good health. Keep your dog’s coat healthy and shiny is the owner’s responsibility. A little change in the diet does the job. A low — quality diet may cause an omega 6 deficiency, which results in a dull dry coat. Healthy protein is the key to healthy fur. Try to give your dog fresh and healthy diet. Add omega 3 fatty acids in your dog’s diet. Flaxseed and fish oils are a great source of omega 3, adding this to the diet will give your dog all the oils needed for a healthy coat. Try to balance it with the diet, you must be careful because too many oils can lead to stomach issues. Every dog has a different schedule for bathing. Some dogs need to bathe once or twice a month but some breeds need to bathe once or twice a week. You must always consider your dog’s skin type. Try to search for natural shampoos or cleanser. Use aloe vera base shampoos for dry skin and cream base for an extremely dry skin. Make sure you do your research or consult your vet about the shampoos and lotions. You can also use good lotions to improve the quality of your dog’s hair. Try to use moisturizing lotion for the shiny and healthy coat. Every dog sheds on a regular base whether healthy or unhealthy. But brushing your dog’s hair can decrease the amount of shedding. It will help you maintain a healthy and clean fluffy coat. Add coconut to your dog’s food or you can start coconut oil supplements. Coconut Oil will give all the strength and shine to your dog’s hair. You can also add herbs. Some herbs like horsetail. It helps in maintaining healthy skin bones and hair, as it contains silica. Spirulina contains vitamin b which also helps in keeping the coat healthy and shiny. Always make sure you consult with your vet about home remedies or usage of herbs. You can also try an oatmeal bath. You can buy oatmeal shampoos or Easily DIY it. DIY ing it will be much cheap and easy. Oatmeal is a great option for dogs suffering from skin allergy or has dry skin. It will get back the moisture in your dog’s skin and fur. You must also consult your vet, your vet may suggest you better options and can also tell you better ways to get a healthy coat. Every owner wants a healthy looking dog, with a shiny furry bouncy coat. Keep trying new things and do the needed changes, for sure you will get the desired results. Please make sure you always consult your vet as few things could harm your pet.